These are a generic rectangular light that fits a lot of vehicles. The only other generic size is 4x6 which is somewhat smaller. 5x7 and 6x8 are the same thing. Some people measure from corner to corner whereas others measure from the middle of the sides. The LED Halo rings are spectacular at night. Really bright and stand out a mile when the head lights are off - everyone loves them. During the day they are great too. These are the update model with 40 x LED's which make up the halo. This super bright Halo makes a very bright Day Running Light being still bright even in full sunlight. And they suit all of the following vehicles with rectangular lights. Ford F100 F150 F250 Bronco. 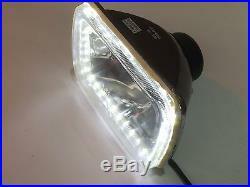 They are a direct replacement of your normal pair of hi and low beam lights and use your cars existing wiring loom. No mods and just a medium size phillips head screw driver is the only tool you need. Remove the outer metal retainer (4 screws) and the light falls forward into your hands. Just unplug the old and plug in the new. Re-position the light and screw in the retainer and you are done. There is no need to remove the grill or headlight surrounds. They dont come with provision for a park light globe. The LED Halo rings have a red wire for 12v power and a black wire for earth. You can hook these up to your park light wires or run new wires to a manual switch on the dash. You have a few options there. 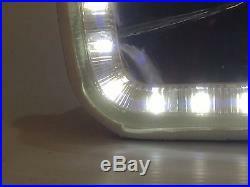 These are multi purpose hi and low beam lights. They will definitely out-perform the standard lights. 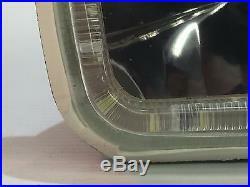 The reflector is prismatic pressed metal and the glass is smooth. 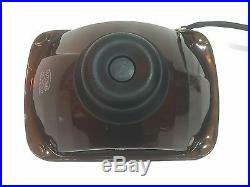 The reflector casts the light wide and downwards to the right in a kidney bean shape so as to not blind on coming cars. That's what makes them DOT / ADR compliant and legal on our roads in Australia. But when you hit high beam the light is higher and out to both sides. Note ADR's require that you still maintain your original park lights and not substitute your park lights for the LED rings. The globes are very easy to get should the need arise and have the same plug configuration as the factory sealed beam lights. The great thing about semi sealed lights such as these and the use of H4 globes is that a if you blow a globe you only have to change the globe and they are cheap. And b you have a large choice of globe output wattage up to 100W low and 130W high. Sealed beams max out at only 65W - no wonder your factory lights aren't much chop. Globes are not automatically included. 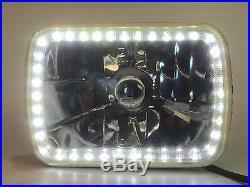 We also have 5x7 with LED Halo rings in blue. At JTX Lighting we have literally hundreds of lighting solutions from globe replacements to upgrades to higher wattage for brighter and safer driving at night or we can take you to the next level with LED and HID globe upgrades. 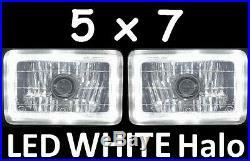 We also sell head light replacements and upgrades to LED assemblies and the trendy Halo lights. We are 100% committed to quality, fast speedy deliveries and great personal after sales support. It's how we roll. 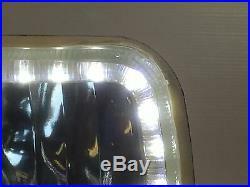 The item "1pr 5x7 6x8 200x142 Semi Sealed H4 Lights Headlights LED Halo Angel Eye White" is in sale since Sunday, July 23, 2017. 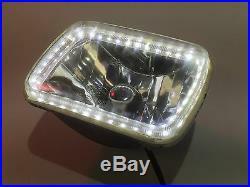 This item is in the category "Vehicle Parts & Accessories\Car & Truck Parts\Lights, Indicators\Headlights". 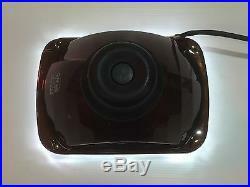 The seller is "jtxlighting" and is located in Rye, Victoria.